I captured it from a moving car. 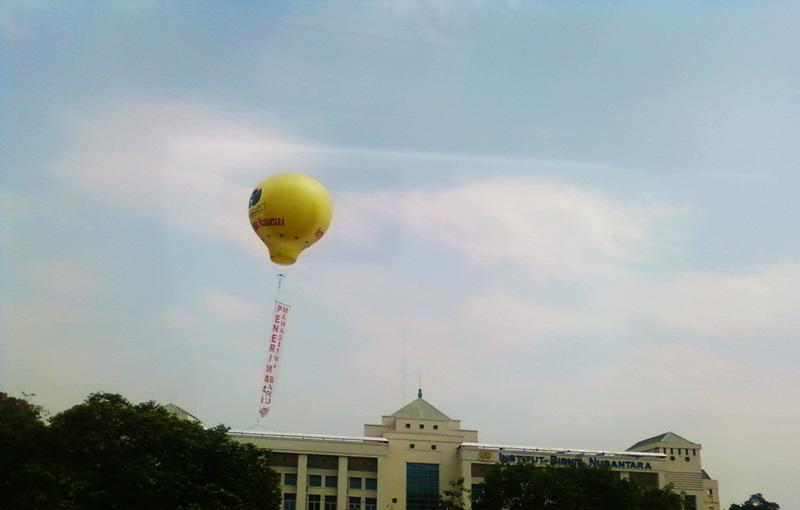 I guess a balloon like this could be an effective promotion tool. This one was used to inform new student acceptance period by a business institute in Jakarta, Indonesia. was it tied down to something so they don't fly away?